Wiseline Pierre is a young woman raising her child in Labodrie, Haiti. She has lived in this community since birth and enjoys raising her own child here. She lives in a small tent with her child, her aunt, and her niece. Their home is extremely small and the tarps hardly hold together. The house offers them no protection from rain, heat, wind, or anyone who wants to come inside. With no real door, they are exposed to the elements and other threats. 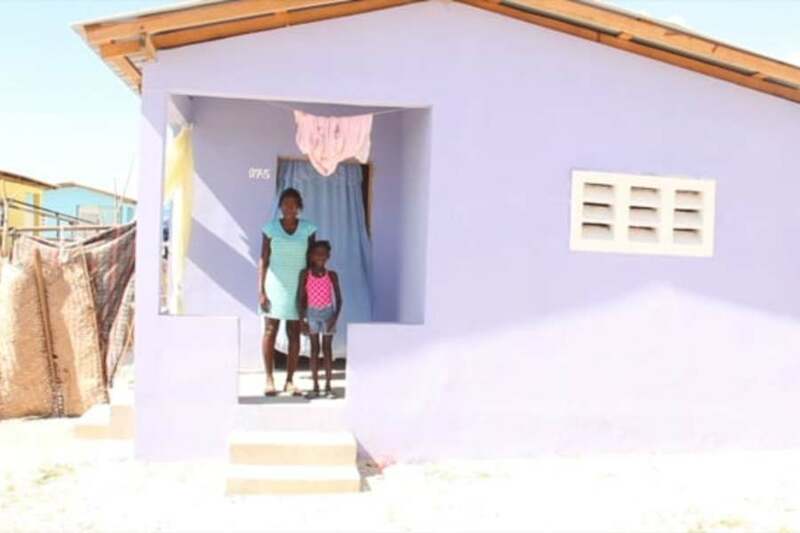 A safe home would give Wiseline and her family a comfortable place to spend their days. Her niece and daughter are both in first grade, a safe home would give them the foundation they need to thrive. Together, we can give them the safe and comfortable home they dream of!